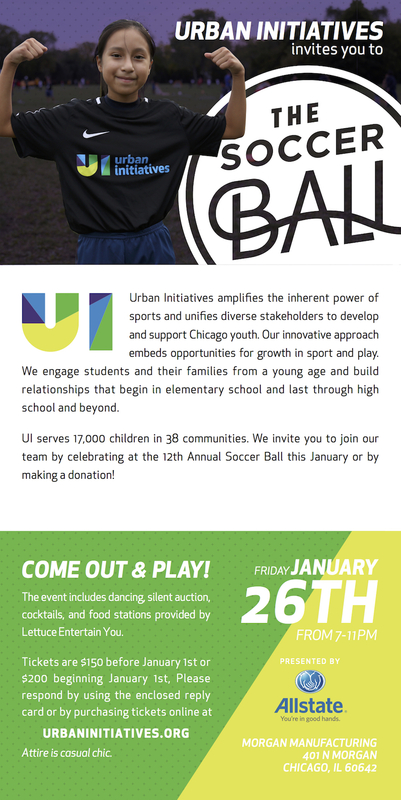 Join Urban Initiatives and Allstate at the 12th Annual Soccer Ball at Morgan Manufacturing, located at 401 N. Morgan St., on Friday, January 26, 2018 for a night of philanthropy, dancing, craft cocktails, gourmet small plates, and a memorable silent auction. The Soccer Ball has sold out each year, and this January’s event is expected to to draw more than 1,000 guests. 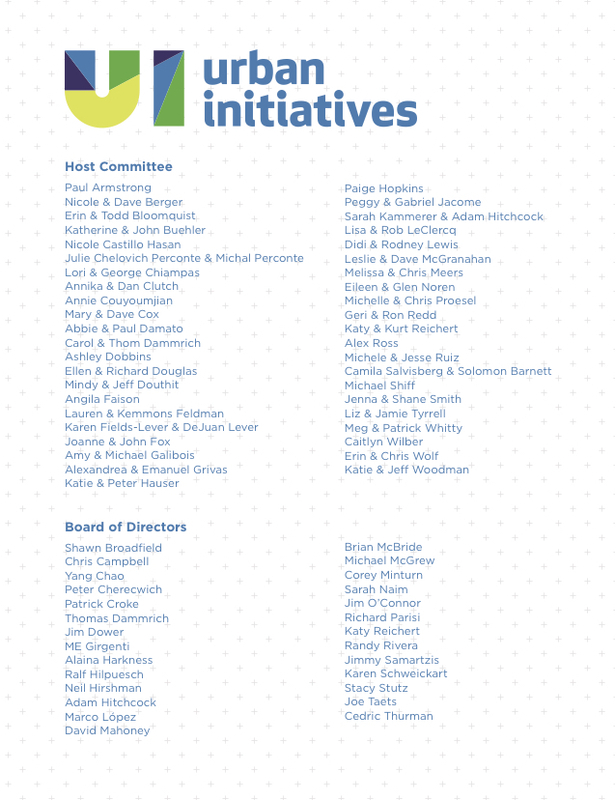 The Soccer Ball is Urban Initiatives’ biggest event, raising significant funds to sustain programming for thousands of Chicago youth. Additionally, the event provides the funding necessary for program expansion into additional schools and neighborhoods. 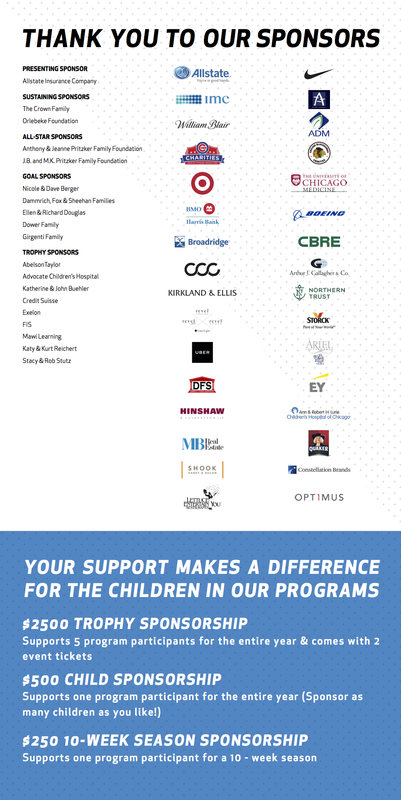 Over the course of the last 11 years The Soccer Ball has raised over 2 million dollars, allowing Urban Initiatives to expand from 4 to 60 Chicago Public Schools served and directly benefiting thousands of children. 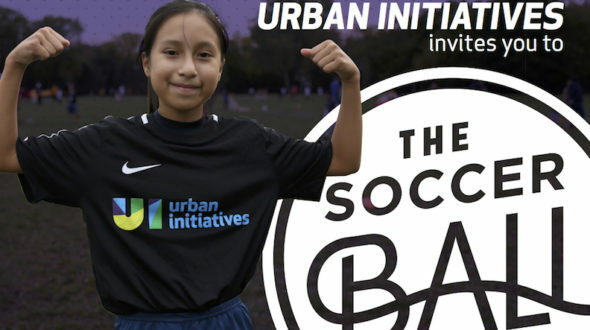 Make a difference in Chicago by supporting Urban Initiatives’ annual fundraiser, the 12th Annual Soccer Ball. Your participation will allow at-risk youth all over Chicago to take part in innovative programs that utilize sports as a vehicle to motivate children to increase their potential in areas of academic engagement, social interaction, healthy lifestyle choice, and self-sufficiency. Don’t miss your chance to enjoy an incredible evening and support a great cause.